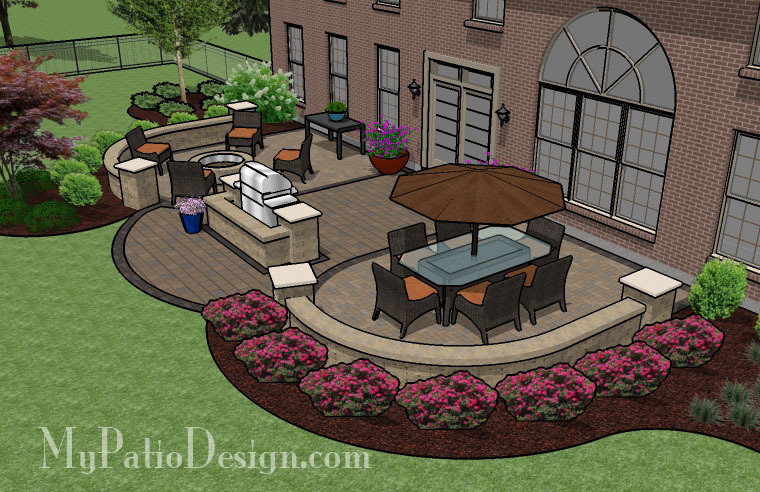 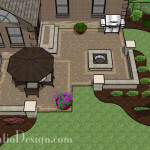 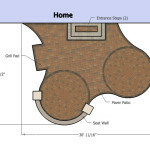 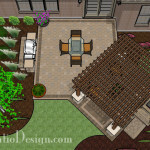 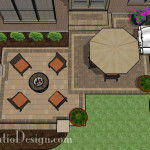 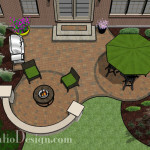 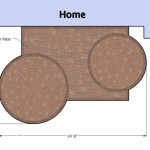 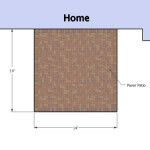 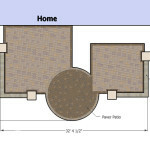 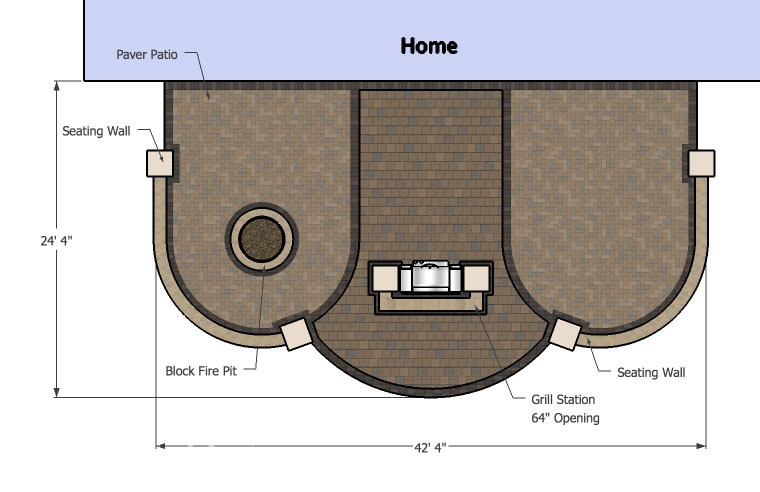 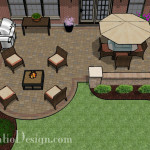 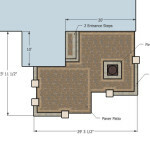 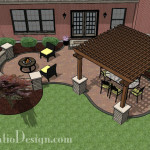 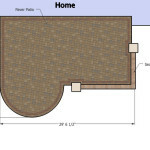 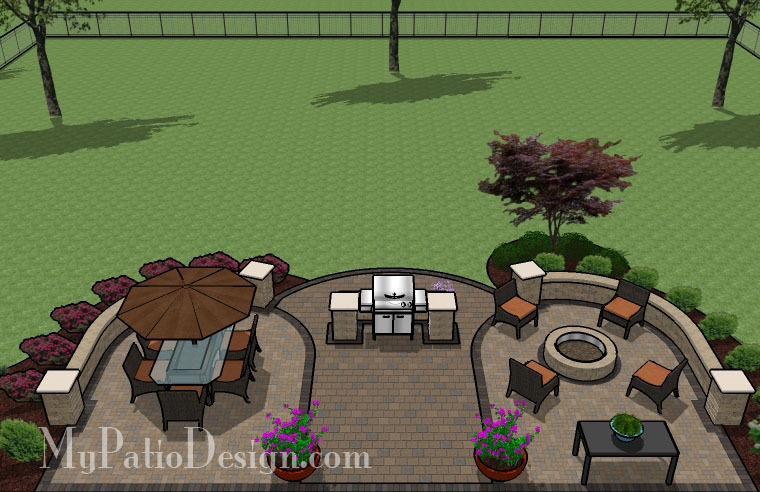 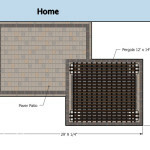 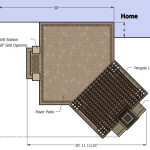 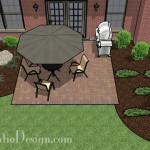 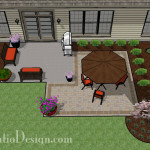 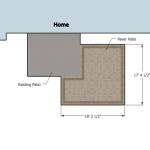 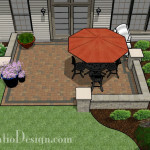 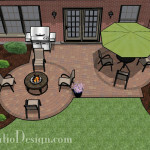 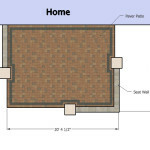 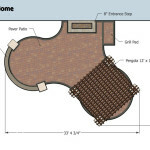 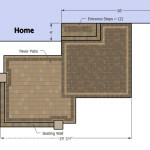 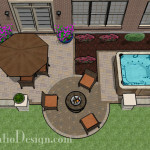 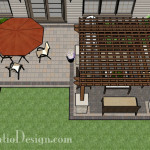 This 801 square foot patio is divided into 3 sections The two side sections are made of the same paver style. 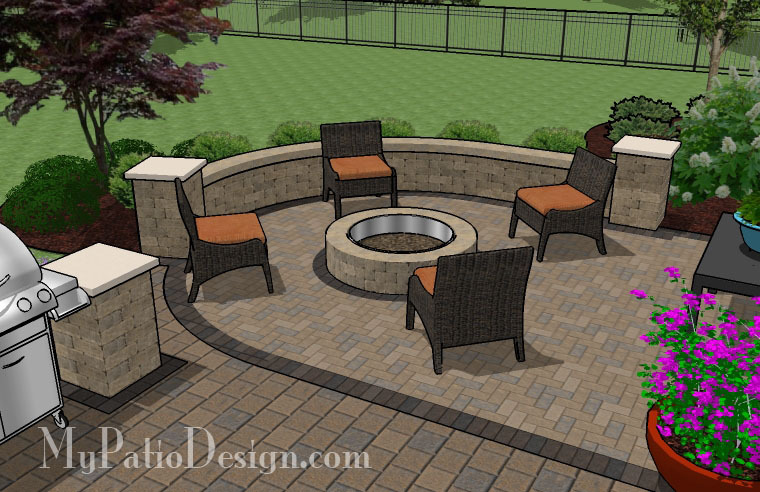 The far right is designed to have room for a large dining table, while the far left is built with a fire pit in the middle. 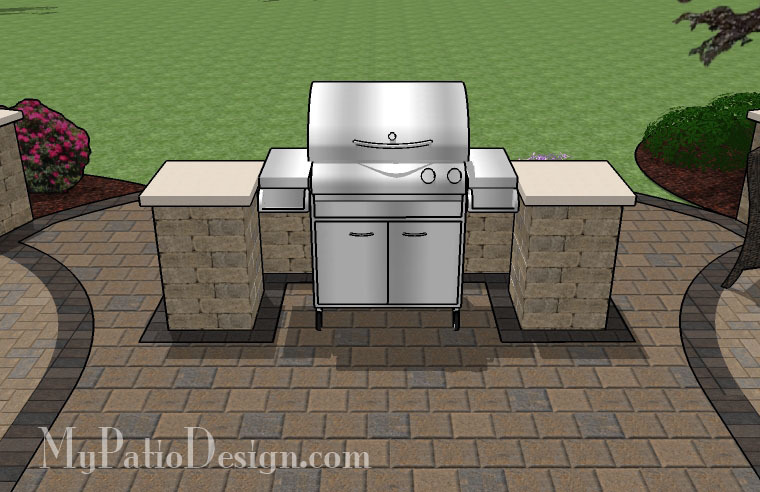 The large middle arc is built with a grill station the fit grills up to 63″ wide. 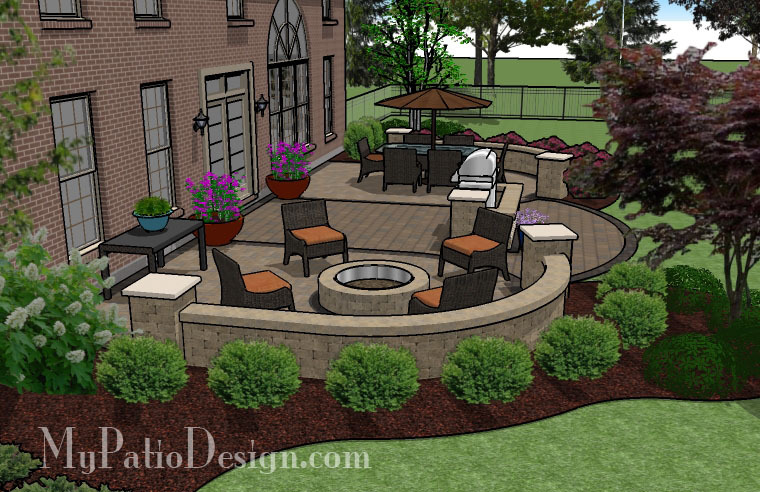 The seating walls separate you from the flower beds and provides extra seating. 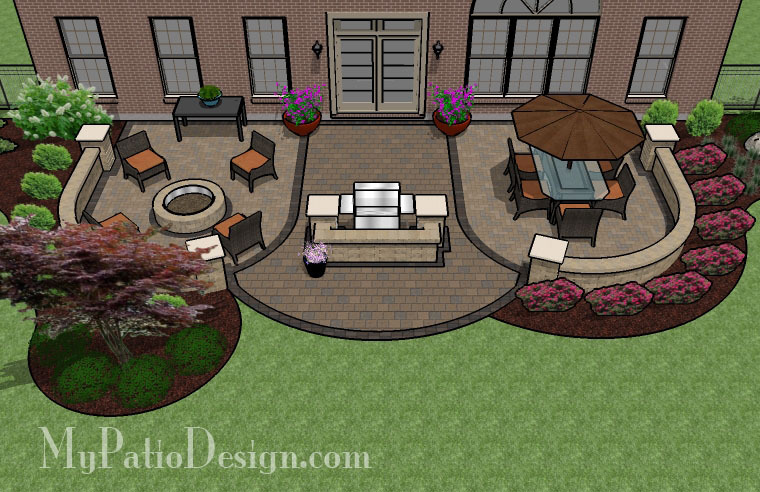 The patio exits into the yard through the middle arc.